Yesterday’s news about the abdication of pope Benedict XVI made headlines all over the world. Surprisingly among all comments is the publication on January 3, 2013 of a post with the title ‘Can a pope ever resign?’ on the blog of Cathy Caridi, a contemporary canon lawyer from the United States living in Rome, who wrote weeks ahead of the news already a very well-informed article. She deals not only with the contemporary canon law of the Code of Canon Law promulgated in 1983, but also with one of the medieval precedents, the abdication of pope Celestin V in 1294. For canonical aspects of the current abdication Caridi’s article is a must. Today Anders Winroth (Yale University) alerted on Facebook to the digital version of an article by Martin Bertram, ‘Die Abdankung Papst Cölestins V. (1294) und die Kanonisten’, Zeitschrift der Savigny-Stiftung für Rechtsgeschichte, Kanonistische Abteilung 56 (1970) 1-101. The online version of this article is only accessible at institutions subscribing to the services of DigiZeitschriften, a German portal for the digitization of scholarly journals. Bertram wrote his Ph.D. thesis at Berlin about pope Celestin V. In the same issue of this journal Horst Hermann wrote another article concerning question about papal abdication and canon law, ‘Fragen zum einem päpstlichen Amtsverzicht’ (pp. 102-141). Scholars in the field of medieval canon law have not dedicated many books or articles to the subject of papal abdication. Peter Herde contributed the paper ‘Election and abdication of the pope: Practice and doctrine in the thirteenth century’ to the Proceedings of the sixth international congress on medieval canon law, Berkeley, 28 July-2 August 1980, Kenneth Pennington and Stephan Kuttner (eds.) (Città del Vaticano 1985) pp. 411-435. In a volume with a collection of articles by Walter Ullmann, Law and jurisdiction in the Middle Ages (London 1988) is an article ‘Medieval views concerning papal abdication’, originally published in the Irish Ecclesiastical Record 71 (1949) 125-133. John R. Eastman wrote a book about the subject, Papal abdication in later medieval thought (Lewiston, NY, 1990). Abdications by monarchs, including the pope, are the subject of a German volume with learned essays, Thronverzicht. Die Abdankung in Monarchien vom Mittelalter bis in die Neuzeit, Susan Richter and Dirk Dirbach (eds.) (Cologne-Vienna 2010). In this volume stemming from a series of lectures at the university of Heidelberg Thomas Wetzstein writes about ‘Renuntiatio – resignatio. Zum Amtsverzicht in der Kirche des hohen und späten Mittelalters’ (pp. 30-61). After pope Celestin V in 1294 only pope Gregory XII formally abdicated, on July 4, 1415. Caridi did not mention this case in the fine article on her blog Canon Law Made Easy. Gregory XII stepped down at the Council of Constance which aimed at ending the Great Schism, the period in the history of the Catholic Church from 1378 onwards, with two popes, one at Rome and the other at Avignon. Earlier in 1415 the Council of Constance had deposited the so-called antipope John XXIII. In view of the modern regulations for a papal abdication one thinks immediately about the voluntary character necessary according to the Code of Canon Law for a valid abdication. When searching for studies concerning papal abdication I saw also several studies about the abdication of kings. This theme might well return here in another post. In fact readers of this blog may well be surprised why I have not yet written anything about the announcement of the abdication of Queen Beatrix on January 29, 2013. This year she will formally abdicate on April 30. I guess the very time span between the announcement and the celebrations on April 30 against the rapid coming of a conclave in March pleads in favour of writing about it now. Normally I would have delved deeper into such matters, but right now I face other tasks. A quick scan of the Liber Extra, the collection of papal decretals published in 1234 on behalf of pope Gregory IX, did not bring me any result about papal renunciations, but a section of the Liber Extra, De renuntiatione (X 1.9) was devoted to bishops resigning from their office. For quick reference I used the text-only version of the IntraText Digital Library. Here I simply wanted to present some information about the background of a truly historical step. 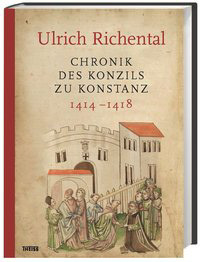 I am sure others will soon publish more detailed accounts about the abdications of 1294 and 1415. As for Facebook and medieval canon law, Anders Winroth has created a Facebook group on this subject. Mike Widener published on February 18 a post on the Rare Books Blog of the Yale Law Library with a nice late medieval woodcut of pope Celestine V, accompanied by further references. The Early Books blog of Yale’s Beinecke Lbrary posted on February 27 a post on a medieval images of pope Celestine V in a manuscript of the Vaticinia Pontificum, a medieval text with prophecies concerning the papacy.. This entry was posted in General and tagged Canon law, Legal history, Medieval canon law, Papacy on February 12, 2013 by rechtsgeschiedenis.